We’re not shutting down just because winter keeps rearing its snowy head. With spring and weather winter taking turns this March, Paint-A-Thon’s volunteer crews mobilized and were in shirtsleeves on sunny Tuesday doing what we do best — making over a home’s exterior in one day. Before Wednesday’s blizzard. And we are back to work again. 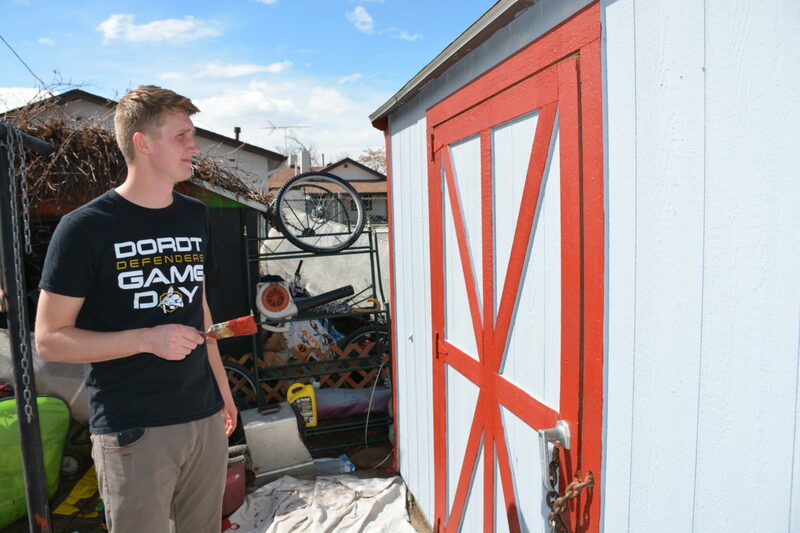 Paint-A-Thon, one part of nonprofit Brothers Redevelopment’s Aging in Place Initiative, is working to keep older Coloradans and persons with disabilities in their homes, where they want to be. Our Paint-A-Thon homeowner on Tuesday, Stella Montoya, has lived in her GES neighborhood for more than 44 years. The former cafeteria manager at Garden Place Academy in Globeville is currently the primary caregiver for her disabled son and her grandson. Widowed four years ago, she is holding the family together in the neighborhood she loves. Stella is concerned with the magnitude of potential change that commercial development and reconstruction of Interstate 70 will bring about in her neighborhood. But she is a proud resident and has chosen to stay, despite many of her neighbors and family members moving away. While most Paint-A-Thon volunteers are from the Denver area, they hail from all over. Dordt College volunteer teams are here on spring break from Sioux Center, Iowa, because they know a few days spent with Brothers’ Paint-A-Thon will make great positive changes in Stella’s and others’ lives that will last for many years to come. And they have fun. And Brothers’ efforts in Globeville Elyria-Swansea don’t end with exterior house painting. Brothers received a $2 million grant from the Colorado Department of Transportation in late 2018 to preserve and protect historic working-class neighborhoods in Globeville Elyria-Swansea. Our Home Modification and Repair program will help with essential repairs as well as safety and access modifications for residents in these neighborhoods. Brothers also joined in forming the innovative GES Affordable Housing Collaborative with community members in the GES Coalition and the Colorado Community Land Trust. The collaborative will acquire homes for placement in the neighborhood land trust and develop other single- and multifamily housing. This effort will provide attainable homes for dozens of families while maintaining the neighborhood’s character and local control. A little help in GES — and all over Brothers’ Front Range service area — goes a long way toward keeping people in their homes, maintaining property and property values and boosting the whole community. DENVER– The Apartment Association of Metro Denver (AAMD) and housing nonprofit Brothers Redevelopment are bringing together property owners, housing experts and prospective tenants to forge solid new partnerships over the next year. Thanks to AAMD’s generous grant of $5,000 in early December, and Brothers Redevelopment’s expertise in making homes attainable for Denver Metro residents, the collaboration promises to bring practical solutions to a challenging rental market. 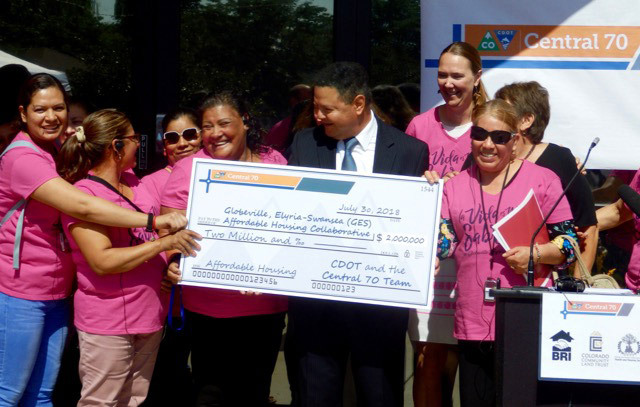 Through LOD, Brothers Redevelopment works with the Colorado Department of Health Care Policy and Finance and with the Colorado Division of Housing to recruit landlords and property owners willing to rent their apartments or homes to individuals with housing vouchers. Brothers Redevelopment’s track record in making successful connections between landlords and renter-ready tenants has enabled it to develop an even bigger pipeline for voucher programs dedicated to removing barriers to housing for vulnerable populations. Through their partnership, the Apartment Association of Metro Denver and Brothers Redevelopment will also help renters understand their rights and responsibilities. AAMD and Brothers Redevelopment’s housing navigators will work together to develop best practices for matching diverse residents with properties and creating successful and stable leasing arrangements. Brothers Redevelopment’s deep experience in consumer and specialized housing education — and experience as an administrator of Denver’s Temporary Rent and Utility Assistance program — will provide insight for landlords into potential tenants as well as resources and expertise. Conversely, Brothers Redevelopment’s housing navigators are eager to hear from landlords and property managers about their goals, needs and concerns. The housing navigators are working in conjunction with AAMD educational offerings to assist landlords who may seek additional education or advice on a variety of topics. This promises to be a valuable and innovative collaboration that could go a long way toward making housing attainable for more Front Range residents as well as prepare apartment-seekers to be better tenants, ultimately creating an underlying foundation of trust and understanding in our community for both renters and landlords. The Apartment Association of Metro Denver is among the largest multifamily housing trade associations in the country, representing and supporting over 336,000 apartment homes in Denver. For more information about AAMD, please visit aamdhq.org. 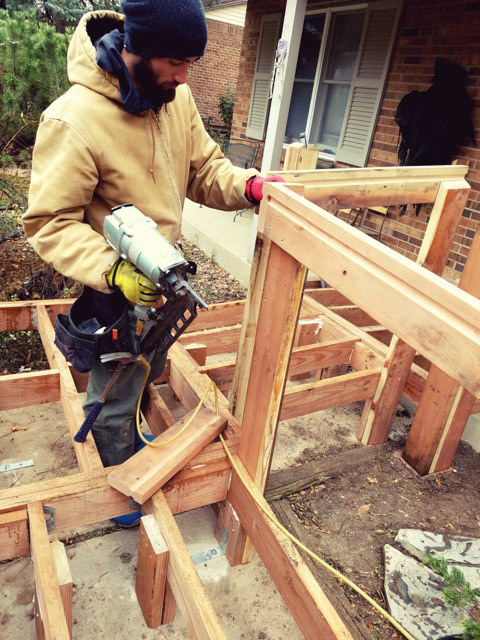 Denver, CO – Brothers Redevelopment Inc. announced Dec. 6 that it has received a $75,000 Daniels Fund grant to support its Home Modification and Repair (HMR) Program. Continued support in 2019 will enable the HMR program to complete an increased number of essential home repairs/modifications for low-income seniors and then follow up with senior services coordination through Brothers’ Aging in Place Initiative. 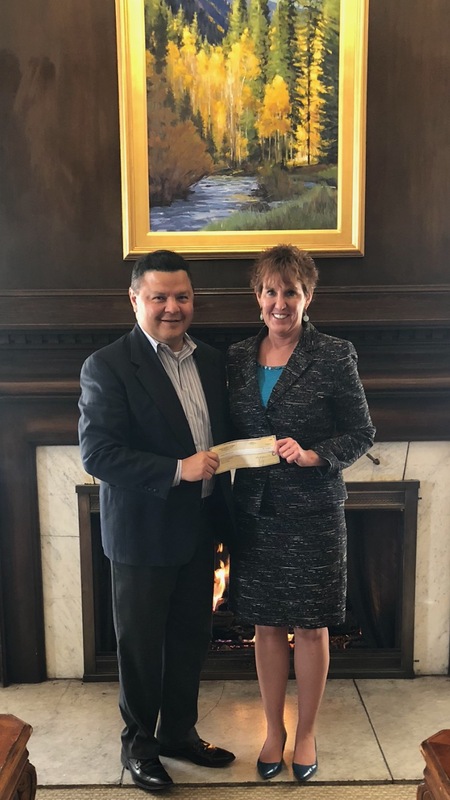 “The grant will enable our program to continue to provide a well-rounded and complete array of housing solutions for vulnerable older residents in a tough Denver market,” said Brothers president and CEO Jeff Martinez. In-home safety and accessibility modifications and exterior home painting (through its Paint-A-Thon program). Referrals of homeowners to its Aging in Place program and Senior Services Coordination to ensure housing stability after projects are completed. In-depth housing counseling sessions with our expertly trained housing navigators to help homeowners achieve their own housing goals. Visit DanielsFund.org to learn more. COLORADO SPRINGS — Brothers Redevelopment’s Paint-A-Thon program is marking its 40th year brightening the homes and lives of senior homeowners by launching its first painting project in Colorado Springs in 20 years on Sept. 8. Thanks to financial support and employee volunteers from ANB Bank, a crew will paint the home of an income-qualified senior or disabled homeowner — at no cost to them. 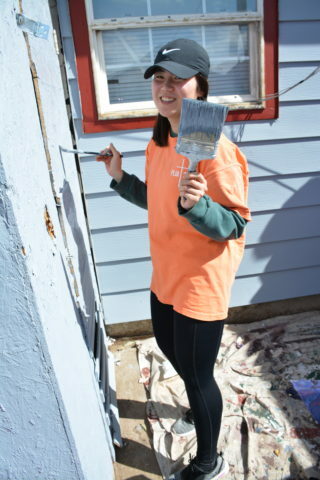 Through Paint-A-Thon, Brothers has painted roughly 7,400 houses using more than 133,000 volunteers — and we’re ready still to take on Front Range houses whose eligible owners need and want an exterior paint job. The Paint-A-Thon program offers qualified homeowners the chance to devote their resources and fixed incomes to other important costs, such as medication, groceries and bills, without having to forgo maintenance of their most important investment—their home. Painting a home can cost upward of $5,000. The Paint-A-Thon is yet another way that Brothers is improving the lives of Colorado Springs residents. 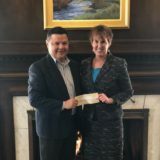 In March, the City of Colorado Springs extended and expanded its three-year relationship with Brothers by tapping the nonprofit to relaunch its Residential Rehabilitation Program. It offers grants for income-qualified homeowners to make important and essential repairs that improve at-home mobility and safety. During that same time span, Brothers has been providing housing counseling and rental navigation to Colorado Springs residents, thanks to support from the Colorado Division of Housing and El Paso County. For everything you needed to get involved as a homeowner, volunteer or sponsor: Call Brothers Redevelopment, 720.339.5864. Or, email Chad Nibbelink at chad@brothersredevelopment.org. Visit BrothersRedevelopment.org. About ANB Bank — ANB Bank is a bank with the strength, talent, commitment and security to fulfill our business and personal customers’ financial needs. Whether it’s deposit services, loans or investment management & trust services, ANB customers will experience creative and flexible solutions to satisfy customers’ financial needs across 30 banking centers serving Colorado, Wyoming and the Kansas City metro area. 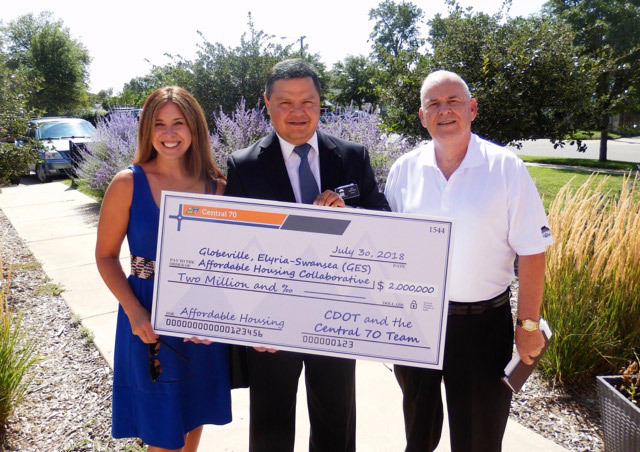 Colorado Springs, June 4 — The City of Colorado Springs is providing $500,000 from its Community Development Block Grant (CDBG) program in a major effort to improve single-family housing stock for its low- to moderate-income city residents between now and March 2019. The City of Colorado Springs has selected trusted Front Range housing nonprofit Brothers Redevelopment Inc. to manage 50 to 65 projects at single-family homes. The work includes making essential repairs, correcting substandard or unsafe conditions, removal of any mobility barriers for the disabled and improvement of energy efficiency. Brothers continues to offer emergency water, sewer and heating system repairs through this program. Under the new grant program, Brothers Redevelopment staff will review completed applications and give priority to households with elderly homeowners or disabled family members. Income-qualified households will be contacted by a housing rehabilitation coordinator to schedule an initial inspection of the home. Residents who may apply for funds include those homeowners whose incomes are at or below the area median income (AMI), which is $38,850 for a family of four. The home must be the owner’s primary residence, lie within city limits and have a value that does not exceed $251,750, as stated on the El Paso County Assessor Public Record Search. Brothers Redevelopment is no stranger to Colorado Springs residents. During the past three years, the nonprofit has been working with the city through its community development program to repair and stabilize homes. 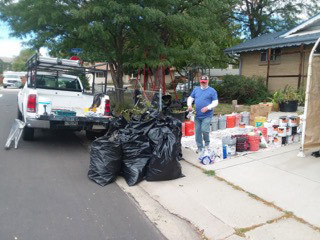 Last year, more than 50 households in Colorado Springs (and 12 in unincorporated El Paso County) benefitted from the program. In late 2017, Brothers Redevelopment opened a Colorado Springs office and began providing free housing and rental counseling to residents. This year, the agency plans to offer its popular Paint-A-Thon in the area — a program that recruits teams of volunteers to paint the homes of income-qualified senior and disabled homeowners at no charge. Complete information on eligibility and the application process is provided on the Colorado Springs website. (coloradosprings.gov/community-development/page/application-programs). Residents can download an application at the city site or request one from Brothers Redevelopment, by emailing hmr@brothersredevelpment.org or by calling Colorado Housing Connects, 1-844-926-6632. If interested in applying, submit a completed and signed application by mail to Brothers Redevelopment Inc., 2250 Eaton St. Garden Level B, Edgewater, CO 80214; or, send it by fax to 303-274-1314. Brothers’ Home Modification and Repair Department (HMR) will develop an open and competitive bidding process to create a list of qualified, licensed and insured contractors to carry out projects under the program. To receive more information about the program, or to learn more about Brothers Redevelopment’s comprehensive housing programs and services, such as its Aging In Place Initiative for seniors, please call Colorado Housing Connects, 1-844-926-6632, or visit brothersredevelopment.org. About Brothers Redevelopment Inc.— Established in 1971, this Front Range nonprofit provides a range of housing solutions for the region’s low-income, elderly and disabled residents. 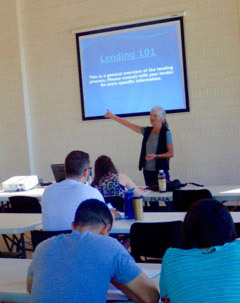 Colorado Springs, July 5 — The Front Range housing market is a tough market for first-time homebuyers to crack, but with rent prices often even more prohibitive, would-be homeowners are filling up classes required by lenders and down-payment assistance programs as fast as nonprofit Brothers Redevelopment can schedule them. Class attendance for May 2018 had increased four-fold over 2014, jumping from 43 attendees to 172 (in the workshop and online). More classes are coming up, and the schedule will be updated on our website, BrothersRedevelopment.org. A variety of down-payment assistance programs are available for first-time homebuyers, and they require these new purchasers to learn about the basics, start to finish, from HUD-certified instructors, such as nonprofit Brothers’ experts. This knowledge gives homebuyers the best chance to succeed in achieving and sustaining home ownership. Brothers Redevelopment provides first-time homebuyers with this information through free workshops, one-on-one counseling and, for those who don’t have time to attend class in person, online courses are offered through eHomeAmerica. However, the online courses require a fee of $99 for one person (and additional $49 per person for others in the household). And, check with your lender — some require an in-person class. These free classes for homebuyers as well as workshops on how to be successful renters are offered in the Denver area and in Colorado Springs area. The classes hold the answers to your questions and also let you know which questions you should be asking real estate agents, lenders and yourself. From finding a lender to understanding interest rates, from signing a contract to maintaining a home and your investment in it, Brothers’ classes give homebuyers valuable information. Roxanne Rebolledo and Regan Mungmee said they believed they were well-informed before the class, but they still learned new and helpful information at a recent class. Brothers’ experts are the workshop instructors, along with volunteer mortgage officers who address the lender perspective. First-time homebuyer counseling sessions and workshops are provided in English and, soon, Spanish-language courses will resume. Prospective homeowners can contact Housing Counseling by calling 303-202-6340, or email us at cyndi@brothersredevelopment.org. In Colorado Springs, you can also email anitaj@brothersredevelopment.org, or call housing counselor Anita Jones, at 719-888-9134. 40th Paint-A-Thon Event Day Aug. 18! ***Epic volunteerism — Brothers marshals ~480 volunteers! **Paint-A-Thon volunteers to complete 20 home and yard projects! *Senior neighbors get free exterior house painting and great fun! * After Painting Party at Blue Moon Brewing Co., 2 p.m.
Denver Metro Area, Aug. 18 — If our communities ever needed a feel-good, do-good day, this is it! 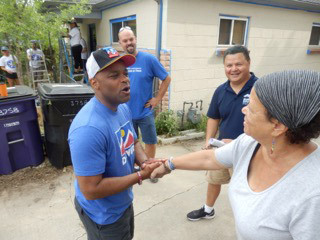 At 40 years old, Brothers Redevelopment’s volunteer juggernaut, Paint-A-Thon, is just as lovable and better than ever at gathering the forces of good to lift up whole neighborhoods and improve the lives of Colorado seniors and persons with disabilities across the metro area. 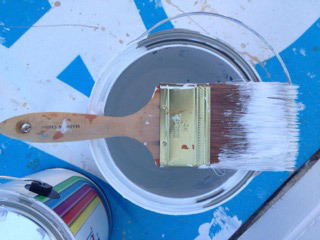 Each year Paint-A-Thon rejuvenates 100 or more homes. This year we will go well beyond that mark. Over 40 years, more than 133,000 volunteers have painted close to 7,400 homes. On Event Day Aug. 18, 400 volunteers will tackle 20 projects. Paint jobs like these will save each homeowner upward of $5,000 and benefit them all for years to come by helping them preserve the value of their homes and age in place. These local investments help stabilize whole neighborhoods. Brothers and its generous sponsors are so proud of the happy tradition that is Paint-A-Thon that we are asking you to join us. Spread the word and joy — to potential clients who could use a hand, to people who love to serve their communities while having a blast, and to a whole metro area that could use some good news. Experience why the Denver City Council is proclaiming Aug. 18 Paint-A-Thon Day. Denver Councilman Albus Brooks will be on hand along with a huge working contingent from DEVO (Denver Employee Volunteer Organization). The mayor traditionally stops by. Brothers has set up a media-help station at one site, the Bowdoin residence at 3758 Milwaukee St. in Denver — though all projects are open to reporters. Call or email us for other project addresses. Brothers Redevelopment’s own staff will be busy running around Aug. 18, so we kick off this event the day before by painting, with some of our board members, the home of our neighbor — a longtime Denver artist working on a photography project documenting the history of Lakeside Park (near her home). The first 100 volunteers to arrive at the After Party, set up by DEVO, will get a free beer ticket at Blue Moon, 3750 Chestnut Place in Denver. And thanks again to the proud, the tired and the paint-splattered who make over a wide swath of the metro area with us each year.